Extract the provided CreativeDoDoco.zip file to the location of your choice. To intall on Mac OS X open doco-installer.pkg in the Mac folder. To install on Windows open doco-installer.exe in the windows folder. Go through the installer and follow the instructions. 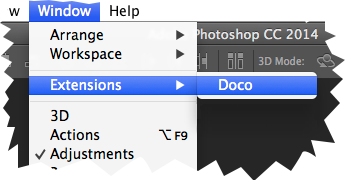 Open Photoshop CC and run Doco from Windows > Extensions > Doco. Doco will launch and try to connect to Photoshop. Which versions of Photoshop are supported by Doco? Adobe Photoshop CC 2014 or newer, including Adobe Photoshop CC 2018. Can Doco run on Photoshop CC 14.0 or 14.1? Unfortunately no. Doco needs Photoshop 14.2 and above. How can I speed up Photoshop on windows? This is not directly related to Doco and will help with other extensions. 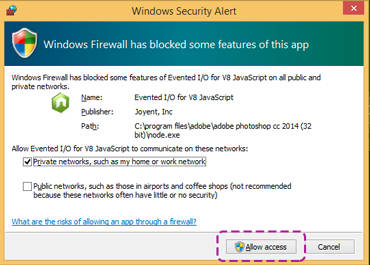 If you have Windows Defender running (runs on default) you can configure it to exclude the Photoshop process needed to run Doco and other extensions.